BluWater Polarized Swamp King Sunglasses | BUDK.com - Knives & Swords At The Lowest Prices! While wading through the brush and the calm waters, a true king of the swamp does his best to blend in. The BluWater Polarized Swamp King Sunglasses feature cutting-edge technology that goes above and beyond UV protection, offering protection from 99 to 100 percent of harmful light. The polarized lenses also filter reflected light, eliminating glare from surfaces like water and snow, while enhancing contrast. 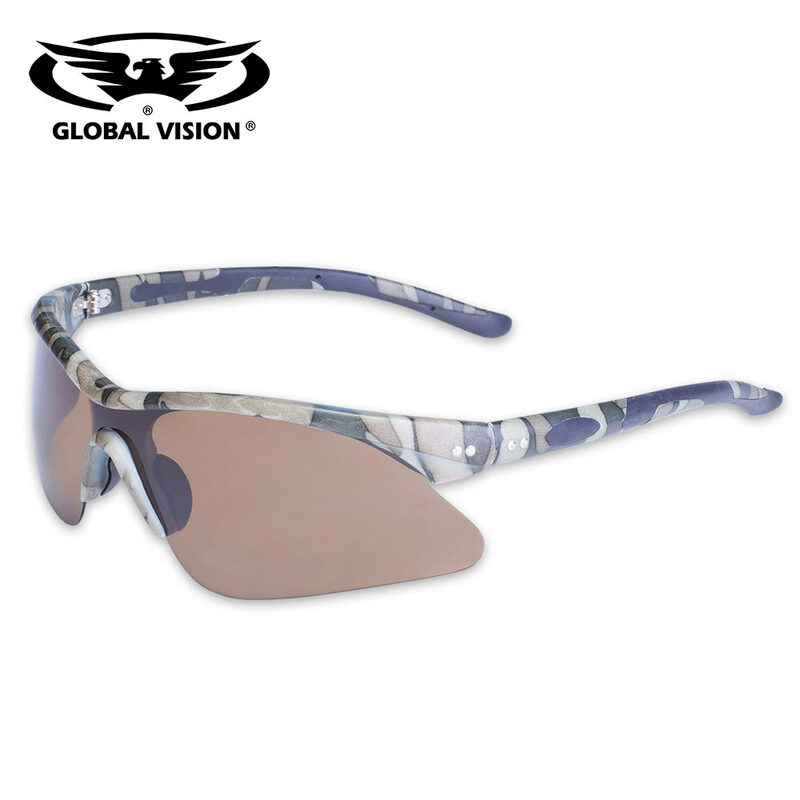 The matte camo, semi-rimless frame has black rubber nose pads and double-injected rubber temples for maximum comfort. It features superior wear resistance that allows it to withstand forces that would damage other eyewear.